"A home needs not only candles and confetti to make it joyful --- a home also needs connection. Candles offer the spirit of warmth. Confetti adds the spirit of celebration. And connections tie warmth and celebration together with love." 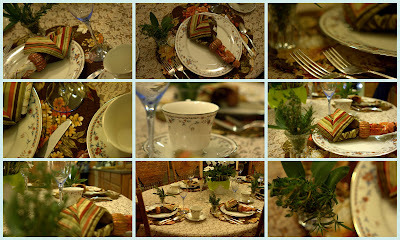 Table-setting: Our family Thanksgiving meal using the vintage '70's wedding china, individual herbal bouquets at each place-setting, candles for warmth, and hot cups of tea for celebration. Such a beautiful table and connections are not as easy as all that, are they? Beautiful! I love your beautiful wedding china. It's gorgeous! You are such an amazing artist. I always love pictures you take of your table. 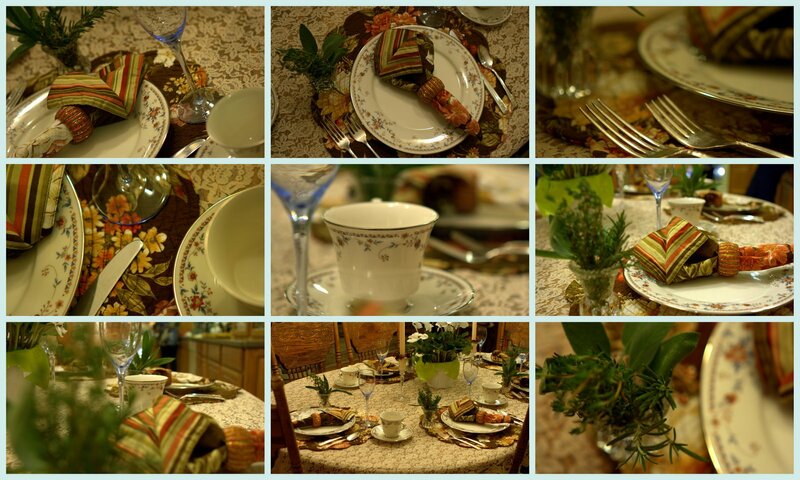 I love your individual arrangements for each place setting. The table looks so inviting.